It was a little before 7 in the morning in western Russia when Major Tom reentered the atmosphere. 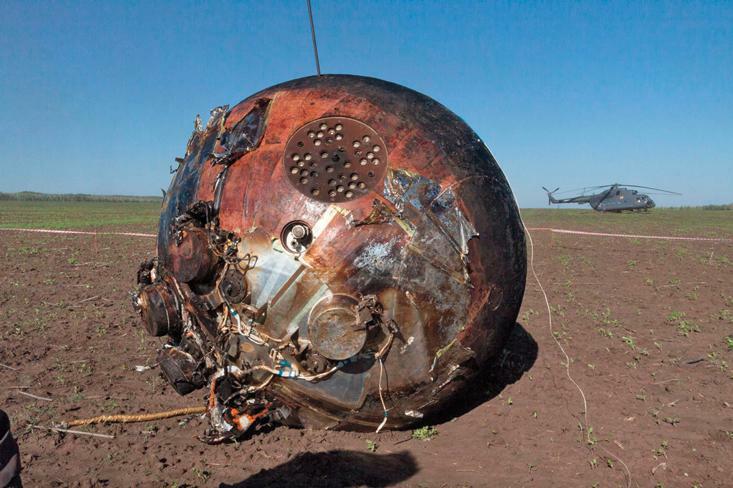 Though he had no window to see the approaching Earth, the return had been announced earlier that day, when the braking engines were activated for six minutes, and his recovery capsule separated from the rest of the spacecraft. After having endured 30 days in space, in which he completed 477 orbits around the Earth, it was about time to come back. It was time to face, once again, the effects of gravity. As soon as the capsule reached the atmosphere, the heating and the G forces began. Major Tom was thrown against the roof of his compartment while the air slowed the capsule and the outside temperature rose to about 3,600 degrees Fahrenheit (2,000 degrees Celsius). When he reached an altitude of nine kilometers, a parachute opened, throwing him back to the floor (which was about 10 centimeters from the roof). At 7:11 a.m. on Sunday, May 19, 2013, the Bion-M1 spacecraft finally landed in the green field of a Russian farm. Every human expansion—be it to Europe, Asia, and much later, by boat, to the Americas—has been done in the unwanted company of mice. 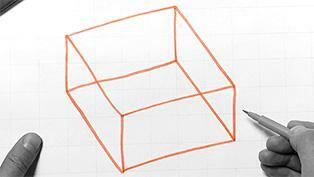 Once removed from the capsule, the cages were taken to an orange tent, improvised in the field as a laboratory. There, with the help of tweezers, Andreev-Andrievskiy took the mice by the tails, one by one, and placed them in a clean compartment to do the final count. Out of the 45 rodent cosmonauts, 16 had survived. One was Major Tom. Every human expansion—be it to Europe, Asia, and much later, by boat, to the Americas—has been done in the unwanted company of mice. The abilities to run fast, to squeeze into small spaces, and to eat almost anything have made them the second most successful mammal on Earth. Now, as humans set their sights on extraterrestrial expansion, rodents—more specifically, mice—are once again in the vanguard. 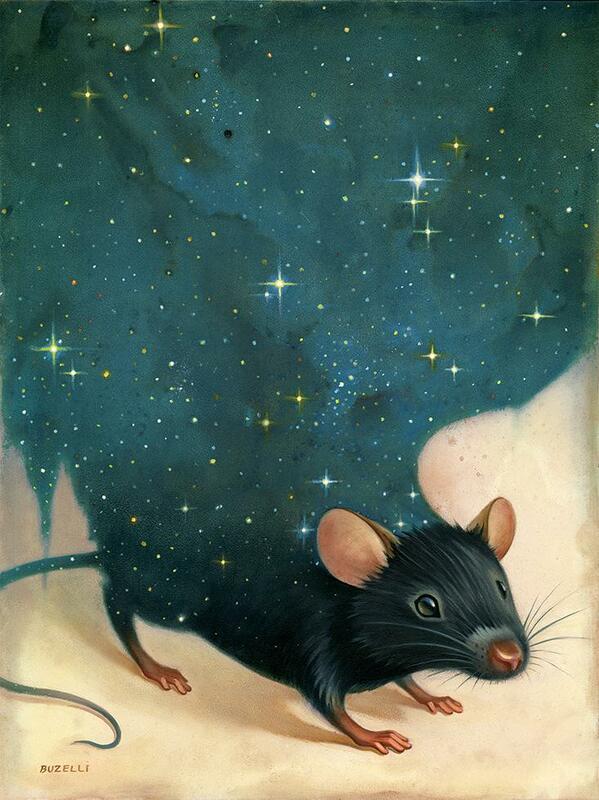 The story of mice in space stretches back at least to 1900, the year Abbie Lathrop, a retired school teacher, began rearing rodents on her farm in Massachusetts. At first she intended to sell them as exotic pets, but quickly became a supplier to the research community instead. Biologists had developed an interest in Gregor Mendel’s laws of inheritance, in which traits are determined by genes transmitted from one generation to the next. Mendel had discovered his laws using pea plants; now biologists wanted to apply them to mammals. At Harvard, a student named Clarence Cook Little was assigned by his senior professor, William Castle, to test Mendelism in mice. He began in 1907, using animals from Lathrop’s stocks. His first task: to inbreed the mice. It was known that the repeated mating of brother and sister could fix a certain number of traits, such as size, weight, and fur color. The inheritance of these traits could then be studied. 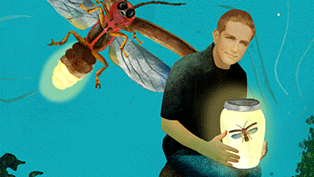 “Most animals can’t be inbred,” geneticist Kevin Flurkey told me recently. Rats, for example, endure health problems after three years of close mating. “But mice are much easier. They face no genetic depression, maybe because they lived in groups that already inbred in the wild.” By 1911, Little had developed the first inbred strain, called DBA. Two decades later Little would found the Jackson Laboratory, a pharmaceutical nonprofit giant that now distributes 3 million mice a year. It was there that mice would earn a place on the Mount Olympus of medicine. Though nearly every Nobel Prize awarded in medicine has relied on some sort of animal sacrifice—pigeons were used for the study of malaria, cats for brain mapping, cows for organ transplantation—no other animal has made a greater medical contribution to humanity than mice, especially mice from the C57BL/6 strain, known as Black 6. Black 6 mice have been used to study diabetes, heart diseases, and bone-related problems. They have consumed alcohol, sniffed cocaine, and taken Viagra. Some have faced early separation from their mothers (to explore the effects of maternal absence in childhood); others were forced to become obese (to test metabolic drugs aimed at helping the overweight American). At the Massachusetts Institute of Technology, Black 6 mice were tested while listening to a Beethoven Symphony (the second movement from the Seventh). They appeared to enjoy it. Major Tom, Space Invader, Space Boy, Spider from Mars, and Ziggy Stardust were placed inside five cylindrical compartments, each the size of a big Coke bottle. Black 6’s supremacy, however, is fairly recent. The strain was created in 1921 from the mating of female 57 and male 52—two of Abbie Lathrop’s mice—and wasn’t particularly important during its first six decades of existence. As Karen Rader writes in Making Mice, a history of the Jackson Laboratory, rodents that entered scientific facilities at the turn of the 19th century “were far more likely to be stray creatures looking for food and shelter.” Their fate would begin to change when scientists learned how to recombine DNA, in the 1980s. To leverage the new technology for studying—and hopefully solving—the causes of genetic diseases, scientists needed a stable animal model, in which every single individual presented the same genetic traits. Mice, which had gone through brother and sister mating since the beginning of the century, were the right mammals at the right time. What came next was a mouse boom. New methods of genetic manipulation led to new questions, which needed new kinds of mice to be solved. Humans invented anemic mice, transgenic mice with human DNA, mice that glowed in the dark, mice for studying autism, mice prone to cancer. But among thousands of newly released mice, none achieved greater success than the Black 6. Maybe it was for its propensity to become deaf, or obese, or blind or old. Maybe it was because it was small and affordable (about $20 per mouse at today’s prices). It was also helped by what Flurkey described to me as a “snowball effect”: More use generates more data, which, in turn, generates better answers. When starting a new experiment, a researcher will prefer solid ground. 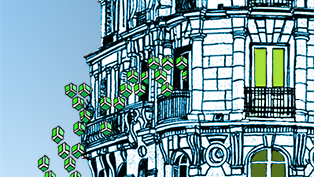 “If your senior scientist used it, you will want to replicate it,” Flurkey said. In a few years, the black-furred 25-gram, 10-centimeter-wide Black 6 mouse became the common currency of clinical trials. It brought medical advances in treatments for brain signaling, diabetes, and atherosclerosis. It contributed to Nobel victories in 1989 (retroviral oncogenes), 1997 (prions), and 2008 (HIV). Today, among the more than 7,500 strains sold by the Jackson Laboratory, 47 percent are Black 6. Major Tom, too, was a Black 6. FEATHERWEIGHT: A Black 6 mouse is weighed before flight. Major Tom was born and reared at the Institute of Bioorganic Chemistry, in Moscow. At the age of about 3 months—when Black 6 mice are considered to be mature—he was taken, in the company of 299 siblings, to an animal facility at Moscow State University. It was a Wednesday, early in 2013—exactly 51 days before he would journey into space. There the mouse first met Andreev-Andrievskiy, a young scientist at both the State University and the Institute of Biomedical Problems (IMBP), Russia’s main agency for the support of human space flight. A specialist in the study of rodents, Andreev-Andrievskiy had joined the IMBP seven years earlier, shortly before the institute announced it would revive the Bion Space Project. From 1973 to 1997, the IMBP and Roscosmos (the agency responsible for designing rockets) had launched 11 Bion satellites, carrying mammals, fish, reptiles, insects, bacteria, and fungi into space. 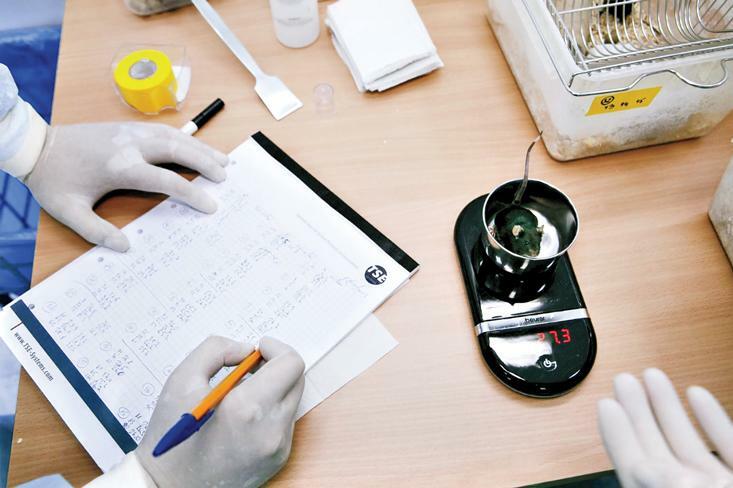 After a 16-year funding shortfall, this would be the first time they would work with mice, all male—and Andreev-Andrievskiy was assigned to head their training. Major Tom, at the time, was known by his number: 50. On the day after arrival, he was weighed and examined. Then he had a microchip implanted under the skin of his back. As with 29 other mice, all picked at random, he also underwent heart surgery to install a catheter that would monitor his blood pressure. “The surgery took 15 to 20 minutes, under general anesthesia,” Andreev-Andrievskiy explained. Mouse 50 recovered in about one week. THE PAYLOAD: The Bion M-1 biosatellite a few days before take-off. Forty-five days prior to the launch, the mice were randomly divided into 100 groups of three, each of which would be observed and occasionally replaced, in case of maladaptation. “Black 6 males usually cope when they are young, but when they grow old, they get more aggressive,” Andreev-Andrievskiy said. 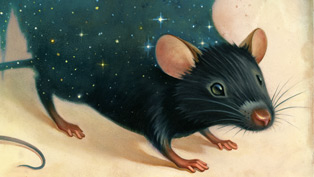 “In space, which is a completely unusual environment, we needed the calmest ones.” Mouse 50 was placed in the company of Mouse 51 and Mouse 173. They got along perfectly. Two weeks later, physical training began. Each mouse was placed in a 60-centimeter-wide box so that scientists could analyze its locomotor and behavioral activities (generally, fearless animals are more exploratory). Then, the rodent had its equilibrium tested on a rotarod, a revolving bar on which it had to balance like a tightrope walker. Finally, it was held for one week in a high-tech cage equipped with a running wheel, where its movements were recorded. There, the animal was tested for intelligence. First, it was presented with two simultaneous light beams emitted from one of the cage’s walls. The lights differed in color and consequence. If the mouse chose the red light, for example, it would be rewarded with a pallet of dry milk. Choosing the green light would have no effect. Once the animal understood this dichotomy, scientists would invert the order, to test how quickly the change was recognized. Finally, the candidate had to adapt to a paste diet—the same that it would be given in outer space. Results were announced one week before launch. Out of the 100 trios, 53 were observed to have potential cosmonauts; 35 were assigned for ground control experiments; and 12 were discarded and sacrificed due to physical, intellectual, or social inabilities. “We worked with four criteria,” Andreev-Andrievskiy explained. “We checked if they lived well together, if their implants worked, if they had learning abilities, and if they could run.” A mouse that ran an astonishing 11 kilometers in a day was not chosen. “We selected the ones in the middle. We wanted the normal, not the extremes. It was not the Olympics,” he said. 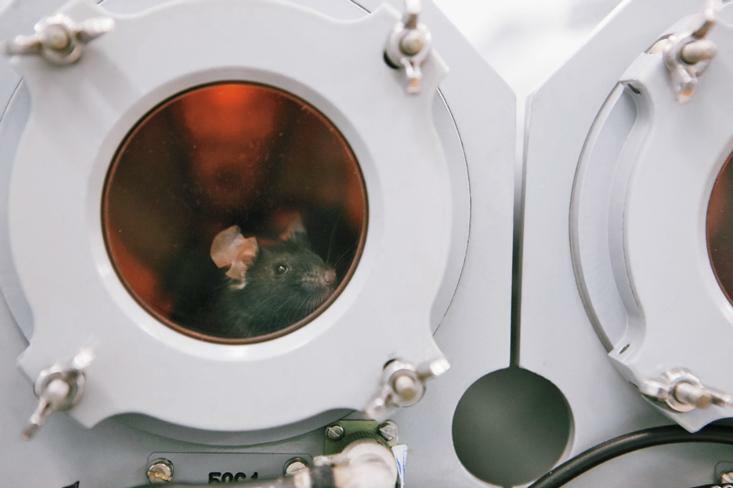 THE RIGHT STUFF: A rodent cosmonaut peers out of the compartment where he will spend 30 days in space. Then, the 53 trios of elite mice were placed in small plastic containers and transported, by car, to an airport near Moscow. 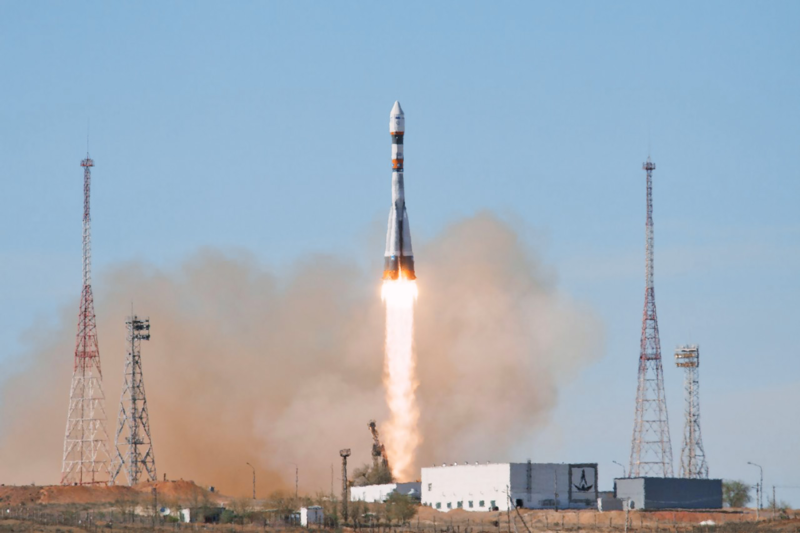 They flew straight to the Baikonur Cosmodrome, a launch facility about one-quarter of the size of Belgium, located at a Russian-leased territory in the deserts of Kazakhstan.1 The whole trip took about 24 hours. 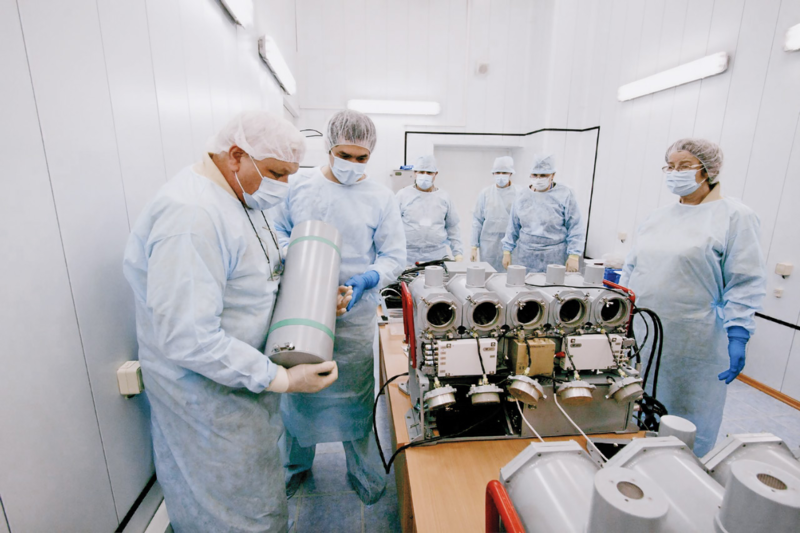 In Baikonur, engineers from Roscosmos were making final adjustments to a Soyuz-2 rocket, fitting six small satellites that it was due to carry besides the Bion M-1 module. Scientists from the IMBP were also busy boarding the additional Bion crew, which was composed of eight gerbils, 15 geckos, 20 snails, and a whole menagerie of fish, plants, algae, bacteria, fungi, and microbes. When one mouse dies in the cage, the others just eat it. They usually begin with the brain and the intestines. On that same Tuesday, April 16, Major Tom, Space Invader, Space Boy, Spider from Mars, and Ziggy Stardust were placed with their respective trios inside five cylindrical compartments, each the size of a big Coke bottle, that would serve as their residences. The cages were each equipped with a video camera, a food dispenser, a lamp to simulate daylight, and a filter for accumulating debris (which would be carried away by a constant flow of air). Once there, most of the mice stuck together, piled up like football players to keep warm. Of the remaining trios, 15 were placed on stand-by just in case substitutions were needed (one group had to be changed before takeoff). The remaining ones were sacrificed. Andreev-Andrievskiy then placed the assemblage of cages on a luggage cart and pushed it toward a hangar. There, the machinery was lifted by a crane and fitted in the biosatellite. A video recorded by the IMBP shows dozens of reporters, engineers, and scientists gathering around the cages, while Andreev-Andrievskiy and his assistant, Anfisa Popova, stare at the scene with their arms crossed. The two would spend most of the following days seated in front of a screen, monitoring the animals by video. On April 19, 4 p.m. Kazakh time, the five engines of Soyuz-2 were ignited. Andreev-Andrievskiy filmed the scene from an open field about 1 kilometer away. As the 300-ton machine started lifting off, he let his camera drop to the ground—and did not pick it up for the next minute. The recording shows the arid vegetation of Kazakhstan, accompanied by some effusive words in Russian and the sound of the receding rocket. For the 45 rodent cosmonauts, the time had finally come to show why they were chosen, from among 300 candidates, to head a $100 million space mission that involved scientists from six countries. It was their time to prove they were capable of surviving in a habitat with minimal radiation protection, no nest, no shelter, no running wheel, no sunlight, no dry food, no water, no medical assistance, and, most importantly, no gravity. MIGHTY MICE: Forty-five mice lift off from the Baikonur Cosmodrome, along with a variety of other creatures. When the Black 6 genome was published in 2002, a Nature news article referred to it as “our greatest ally.” Shirley Tilghman, a molecular biologist and then the president of Princeton University, preferred to describe it as a “Rosetta stone” for biomedical interpretation. 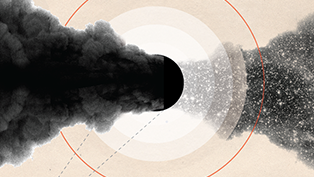 Researchers wondered what role each gene played—a question that would soon be turned into a $900 million project starring the Black 6 as protagonist. Founded in 2007, the International Knockout Mouse Consortium was created to produce 20,000 variations of Black 6 mice, each either inactivating or overexpressing one of its 20,000 mapped genes. The reasoning behind the project was simple: Since mice and humans share 95 percent of their genetic material, a gene that is responsible for a given trait in mice has a reasonable chance of acting the same way in humans (though, in practice, it is usually a combination of genes that is involved). At Jackson Laboratory, genes were knocked out based on a natural process called homologous recombination. Researchers were able to knock out 17,000 individual genes (3,000 others led to immediate embryonic death). The newly produced Black 6 stem cells were then frozen in liquid nitrogen. The project then began to turn the cells into actual mice. Researchers have now produced 3,500 new knockout mice in the United States. The goal is to reach 5,000 by 2016. For this stage of the project—more complex and expensive than the genotyping—the responsibility was split among 18 institutions from 12 countries. At the Jackson Laboratory, for example, brothers and sisters of a given new strain are bred with each other for 20 generations (it’s a way of decanting the unwanted information). After about two years, the mutant mouse is said to be stable, or genetically homozygous. From there on, every new mouse will be a clone. Researchers then spend 16 weeks phenotyping the animal. 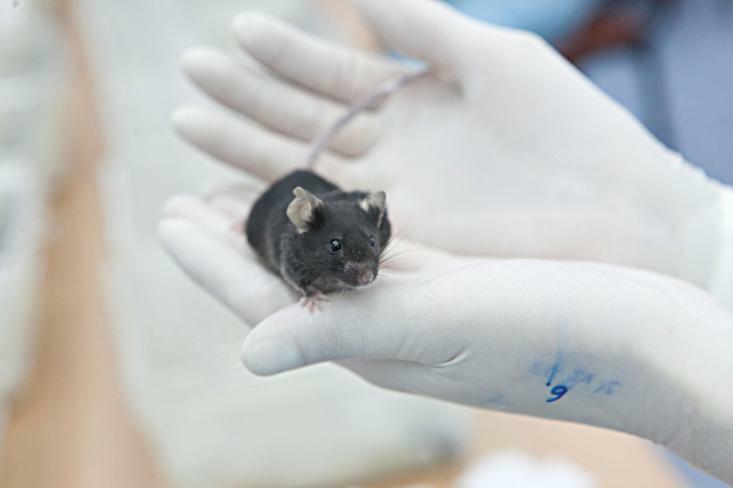 During this period, the rodent goes through 2,000 behavioral, physical, and immunological exams to evaluate the exact effect caused by the gene modification. Justice is referring to Crispr/Cas9, a form of gene editing developed in 2012 by researchers Jennifer Doudna, Emmanuelle Charpentier, and Feng Zhang, who are often referred to as future Nobel winners. The technique can generate a homozygous knockout mouse in one or two generations, as opposed to the 20 needed with homologous recombination. First, researchers choose a piece of DNA they want to cut from a cell. Then they synthesize a corresponding piece of RNA, and attach it to a bacterial enzyme called Cas9, whose function is to cut the cell’s DNA. Once it’s done, the cell tries to repair the cut, often in a way that ends up disabling the gene. This is not the only difference between Crispr and homologous recombination. Since homologous recombination was less effective, it had to be done on a large scale, relying on embryonic stem cells (which are found on the order of hundreds in a single mouse embryo.) Then the mutated stem cell had to be implanted in the embryo of another mouse. The resulting animal was a mixture—which could only be “purified” after two years of inbreeding. Crispr/Cas9, on the other hand, is so efficient that it can be applied directly in the zygote, the very first cell formed after sexual reproduction. From there on, every subsequent cell—including stem cells—will contain the gene mutation: The animal leaves the womb ready to use. Whether it is through homologous recombination or Crispr, the new breeds of Black 6 mice are unlike any seen before: Where previous iterations bred for an individual trait, researchers are now breeding the mice to express or suppress individual genes or groups of genes. 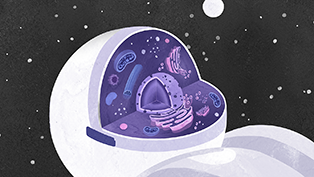 Rather than studying gross or qualitative effects, researchers are gaining the ability to peer directly into the genetic mechanisms invoked by diseases, or by environments—like space. THE HERO: Major Tom passed through a battery of locomotor, behavioral, and intelligence tests before being selected for the Bion M-1 mission. From 1973 to 1997, the Soviet Union launched 11 Bion missions, transporting 212 rats and 12 rhesus monkeys into space—along with insects, amphibians, reptiles, and human cells. The missions led to findings on the muscular-skeletal system, cardiac metabolism, vestibular function, and stress response—all of which were applied so that humans could spend longer times in space. 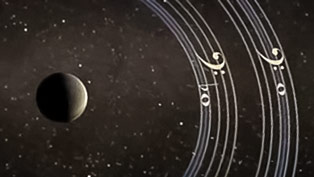 “The main result,” Vladimir Sychev, a 63-year-old scientist, and deputy director at the IMBP, said, “is that we can now have a cosmonaut spending one and a half years in weightlessness.” But there is much still to be learned, and the Bion flights, interrupted eight years after the fall of the Soviet Union, were only resumed with Major Tom’s mission, in 2013. I met Sychev in January, at the IMBP headquarters, just outside Moscow. Our conversation took place in a large conference room that contained a tube television, a fake tree, and some crystal chandeliers. He spoke in Russian, and wore a pin with the symbol of the institution attached to his suit. “We have great experience in orbital flight, but there are some processes which we still cannot understand,” he continued, translated by an interpreter. “Now we have the means of understanding the effects on the molecular level.” Humans, who vary in weight, size, skin color, and myriad other factors, are too genetically different to serve as an experimental model. If Bion M-1 had transported nothing but human tissues, its conclusions could not be generalized. The Black 6 mouse—which had its genome mapped, its genes knocked out, and its molecular paths studied—was one of the best possible animals to provide such insights. The Earth’s atmosphere and magnetic field protects us from 99.9 percent of the sun’s radiation. On an eventual human trip to Mars, which would take six to eight months under no such shield, the astronauts’ chances of undergoing genetic mutation (and all its hazardous physical consequences) would enormously increase. “Radiation is likely the show-stopper, unless we can protect the individual,” says Boyle. Major Tom’s genes might offer insight into how to keep humans safe. Since Black 6 mice live no longer than three years, the 30 days Major Tom spent in outer space correspond to two years of a human life. Bion M-2 is planned for 2019. 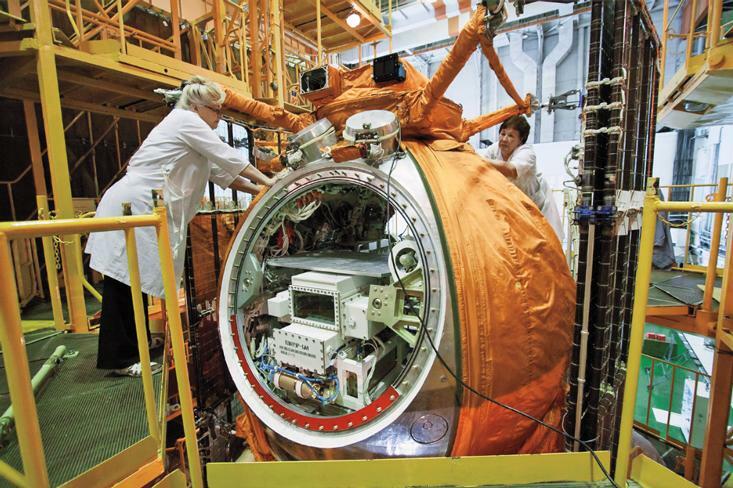 It will orbit at 1,000 kilometers, where the level of radiation will be almost 30 times higher. Ten minutes after being launched, Major Tom escaped the Earth’s atmosphere. The rocket’s engines went off, the effects of microgravity went on, and he suddenly began to fly, bumping into his cage mates. The craft rose smoothly and silently, passing by satellite debris, crossing the orbit of the International Space Station, and finally reaching an altitude of 575 kilometers. Peace reigned as the internal temperature stabilized at 72 degrees Fahrenheit (22 degrees Celsius). Then, on the second day of the mission, two fatalities occurred. “What might help explain the deaths?” Andreev-Andrievskiy later wrote, with 12 other scientists, in a study published in PLoS ONE. “There was no evidence of fighting, biting, or agonistic behavior in any of the video samples, so we do not believe that any of the injuries resulted from aggression among the males.” It was concluded that the two mice probably died after getting their tails stuck in the feeder. Other disappointments would take place during the mission. Due to a failure of the oxygen supply, all of the gerbils died by the end of the first week. When the aquarium lights stopped working, interrupting the process of algae photosynthesis, all of the fish and crustaceans also died. The 15 geckos and the 20 snails survived. The worms died, eaten by the geckos, as planned. Andreev-Andrievskiy spent some of that month in Baikonur, monitoring the vivarium mice (which would be compared to the returning cosmonauts), and interpreting the small trickle of information arriving from the spacecraft. “Our main data came from the five mice that had the heart implants,” he explained. “We could more or less derive from oxygen consumption if the others were alive.” The cage videos—which cut off after the first 10 days due to a buildup of dirt on the lens—were only made available after the return. When he did return, Major Tom was fatter than when he left. The weight gain, caused by the lack of gravity, the inactivity, and the excess of paste food, was also noticed in 75 percent of the team (in his case, it was aided as well by the ingestion of brain and intestines from Mouse 51). Post-flight lethargy was another common problem. “Examination directly at the landing site revealed gross motor function impairment,” Andreev-Andrievskiy wrote in his 2014 PLoS ONE study. “The mice could not maintain steady posture and their fore and hind paws were positioned more to their sides, rather than directly under their trunk; the mice did not move even when prodded.” Locomotor activity would begin to recover after six hours. Recovery, however, was not exactly what the scientists wished for: Every minute spent by the animals in normal gravity represented one less minute of information about the deleterious health effects of their experience in space. As soon as he finished counting the survivors and conducting the initial physical testing, Andreev-Andrievskiy got back in the helicopter, and rushed the mice to the Baikonur Cosmodrome. The moment a mouse model dies is the moment scientific knowledge is born. Events followed very quickly. From a nearby airport in Orenburg, they took a military airplane that flew straight to Moscow. From the airport, they got into an ambulance that used its sirens to bypass the Sunday afternoon traffic jams. “It looked like a Hollywood movie,” he recalled. It was the end of a glorious trajectory. Six months had passed since Major Tom was born in a lab, faced heart surgery, endured physical training, adapted to paste food, learned how to fly, and came back from space to tell humans, with his body, how tough life is out there. On Sunday, May 26, 2013, Major Tom—or Mouse number 50—had his neck broken through cervical dislocation. He was then decapitated. The moment a mouse model dies is the moment scientific knowledge is born. As planned, Major Tom’s organs were dissected and split among specialists from six countries, resulting in 70 studies. His brain was subdivided in smaller parts—frontal cortex, visual cortex, hypothalamus, hippocampus, striatum, and substantia nigra—some of which were sent to Vladimir Naumenko, a senior researcher from the Russian Institute of Cytology and Genetics. In a study published in July 2014, Naumenko concluded that “spaceflight decreased the expression of crucial genes involved in dopamine synthesis.” Such a decrease, aside from deregulating muscle tone, can trigger diseases such as Parkinson’s, Alzheimer’s, depression, and schizophrenia. 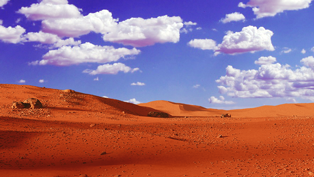 Because of these observations, humans on a trip to Mars may need to take antidepressants to control their dopamine levels and stave off potentially devastating illness. Studies of the returning mouse cosmonauts also addressed the effects of microgravity on bone marrow, insulin receptors, and sperm cells (sperm cells move more quickly after exposure to space, though it’s not yet clear why). Scientists observed a reduction in the mice’s ability to contract and dilate cerebral arteries (which could explain why astronauts suffer from eyesight impairment when they return from space). These results depend on genetic analyses that would not have been possible if the mouse genome had not been mapped and studied in fine detail. Other animals yielded their own results. Snails, which have a simple and well-studied nervous system, allowed scientists to study vestibular readaptation to normal gravity, which could help illuminate what happens to the human brain in the 24 hours after spaceflight. Geckos revealed insights into the muscular system, potentially leading to the development of clothing that imitates tactile stimuli, helping astronauts prevent muscle loss. Andreev-Andrievskiy did not attend the final experiments. By then, he was already dealing with the ground control mice, which had been waiting, in their cages, ever since he and Major Tom had left for Baikonur. 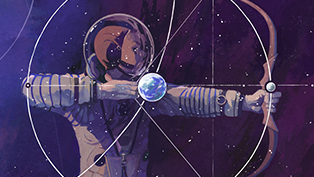 Things started from zero again: He picked 45 rodents, which were then placed, in trios, in the same apparatus that was used for the space mission. For the following month, those mice would see no sunlight, would have no running wheel, and would eat no dry food. For the sake of comparison, conditions would simulate the ones faced by Major Tom, aside from the crucial fact that everything would be endured under normal gravity. No mice from that group were named after David Bowie songs. Roberto Kaz is a journalist from Brazil. This feature was written as a Master’s thesis at Columbia University’s School of Journalism. 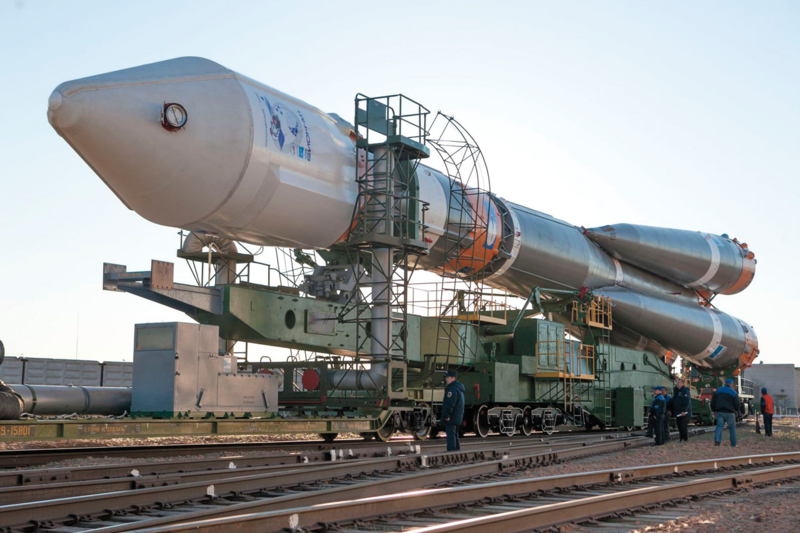 As originally published, this article incorrectly stated that the Baikonur Cosmodrome is larger than Belgium.